One of the true pleasures of my job is receiving wine and spirits as samples for review. 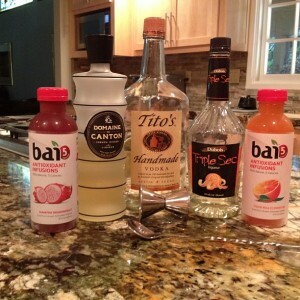 And, some of the time, I get new alcohol-free drinks to review. The only drinks like that I accept are ones that can be used as mixers. So today, lo and behold, we are trying a 5-calorie full-flavored drink from Bai5. Not like other flavored waters, the two samples I received were darker in color and deeper in flavor compared to others that I’ve tested. All of the tasting notes from the company are below. I was sent Costa Rica Clementine and Sumatra Dragonfruit to test. My WSET Level 2 Certification as a sommelier does not, in any way, certify me as a bartender or mixologist. But the certification is in wine and spirits. And then there’s my 20+ years drinking that helps too…. Pour all ingredients over ice, stir, garnish with orange twist, and serve. Pour all ingredients over ice, stir, garnish with orange rind, and serve. Pour over ice, stir and serve. If prefer less sweet – add sparkling water. *A reference to Aperitif or Digestif refers to a drink before, or after, a meal. …A new beverage called Bai and its five-calorie version Bai5 that is now being distributed by Dr Pepper Snapple Group. Bai and Bai5 is 100% natural and made from the most super of all superfruits, the coffeefruit. Every bottle is packed with all the daily antioxidants we need and more. A summer’s worth of bright sunny mornings rise to greet your lips each time you lift Costa Rica Clementine toward your tastebuds. You could peel your way to citrus this round and sweet but we suggest you enjoy it with a quick twist of a Bai5 red cap. Once upon a time only dragon slayers could enjoy this exotic little beast of a fruit. Now Bai5 brings you its delicate, melon-like gentleness without the inconvenience of sword fights and scaly monsters. The only fire breathing dragons you’ll encounter with Bai5 Sumatra Dragonfruit are ferocious, free-radical fighting antioxidants battling on your behalf. For two decades I traveled to exotic regions around the world in search of the best-quality, green coffee available. It was on one of those trips, during a visit to Indonesia, that I stumbled upon something unexpected: coffeefruit, the casing that surrounds the coffee bean, is an antioxidant powerhouse. I’ve been determined to share the secret of coffeefruit ever since. Back home I turned my family’s kitchen into a makeshift lab for more than a year mixing coffeefruit and exotic fruit juices to create a great-tasting, healthful beverage. The result? An antioxidant-rich, refreshing line called Bai. In August 2009 Bai was founded. The name Bai – the Mandarin word for “pure” – was chosen to represent the simple, natural goodness of a beverage dedicated to fostering great health. At first Bai was sold only in health food stores in Princeton, New Jersey where the antioxidant infusions were created. Word of mouth about its delicious, refreshing nature ensured Bai would move into other areas quickly. 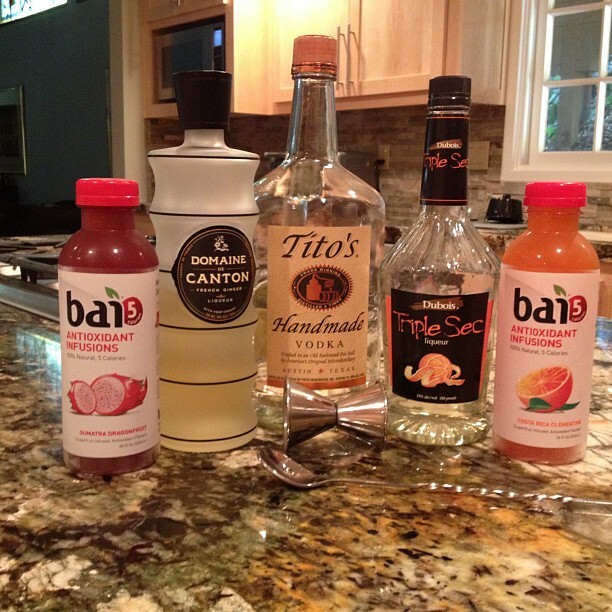 Soon Bai could be found in specialty stores and in major retail markets throughout the northeast and California. Within months of its founding Bai had launched a second line of infusions, Bai5, a low-sugar, 5-calorie beverage created in response to customer’s interest in even more healthful options to sugary, high-calorie drinks. The first Bai5 infusion, Sumatra Dragonfruit, became an instant best seller. Today, as Bai continues to grow, one thing is clear: the secret of coffeefruit antioxidant power is finally out. Eve Bushman, owner Eve’s Wine 101 and Eve Bushman Consulting. Get our Dear Wine Friend wine news via your inbox every Friday! Do you want to plan your weekend? Subscribe Today! Your name and email address will never be sold.